Rattle Me Wrist Pals Rattle Toy is rated 5.0 out of 5 by 1. Fun Comes First!™ Sweet characters, soft fabrics, fun rattle sounds - what's not to love! 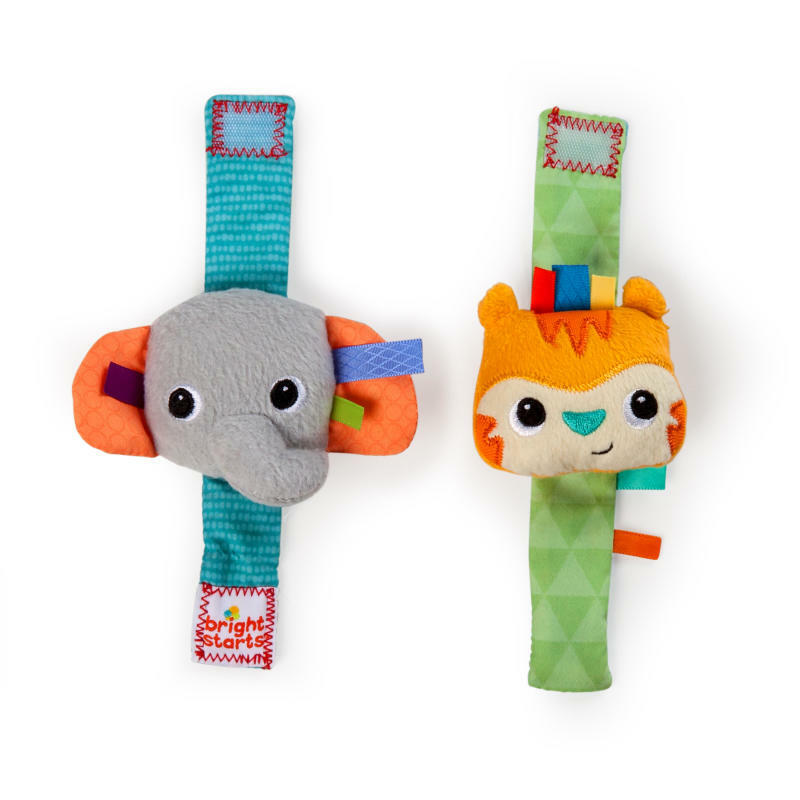 Bright Starts™ brings you the Rattle Me Wrist Pals™ to make play time fun wherever you go. These little rattles attach easily and feature crinkle sound. Dimension (in) 1.75" x 1.75" x 3"
Rated 5 out of 5 by Sandy from Awesome Invention I bought a set of these wrist rattles and my grand baby LOVES them. They not only entertain her but also provide great eye and hand coordination and you can see her determination.